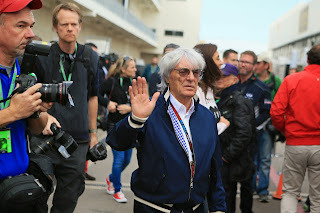 Talking about F1: The F1 blog: New F1 Times article: Should we be asking what the point of Bernie is? New F1 Times article: Should we be asking what the point of Bernie is? You'll be well aware of the sport's various financial woes, and its various manifestations, that have dominated discourse in recent weeks. You'll also be well aware of the related frenzied debate over F1's future and what it should look like. And you'll also likely know that the fingerprints of a certain Bernie Ecclestone is all over many of the matters of moment as well as over a framed future F1 that doesn't appear to have much wider support.